Spa by Clarins with Indo-Portuguese design elements to star at upcoming W Goa Archi-new - Free Dwg file Blocks Cad autocad architecture. Archi-new 3D Dwg - Free Dwg file Blocks Cad autocad architecture. The W Goa is set to make its debut in September, with a 1,250sq m (13,454sq ft) Spa by Clarins. 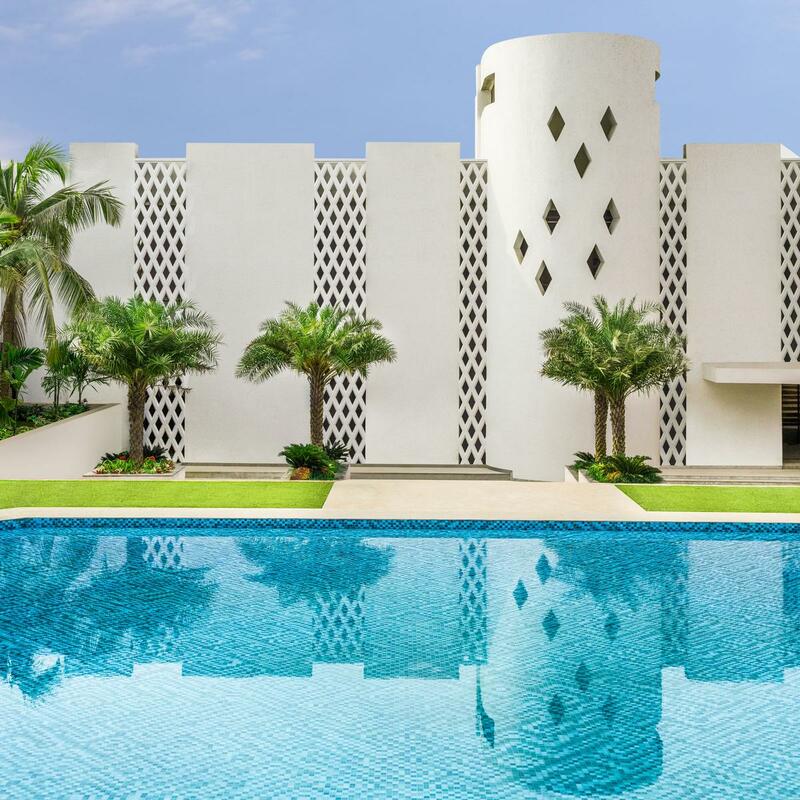 Designed by architects Eco-ID with interiors from Design Wilkes, the W Goa is set on the Indian coast with a private beach and features 160 bedrooms with design elements that evoke eclectic local traditions. The spa has a sophisticated, luxurious ambience, and will include six single treatment rooms and two couples’ treatment rooms, each with private changing rooms, vanity, WC, steam, shower facilities and Bluetooth connectivity. A large heated vitality pool with attached relaxation bed lounges and experience showers as well as a beauty room, hair salon and detox oxygen room are also featured. Spa consultant Adria Lake of AW Lake Design worked on the project, which features Indo-Portuguese design influences, as well as elements inspired by Mughal forts in the walkways and near the vitality pool. A Fuel Bar delivers food that is “greener, lighter, fresher, brighter,” including ‘skinny’ and natural cocktails and ‘guilt-free morning after’ options.